Scott Solan had 17 kills and six blocks on Monday to help Palo Verde’s boys volleyball team to a 25-13, 25-16, 25-20 win over host Arbor View in a battle of Mountain League leaders. Cooper Jarman dished out 35 assists, and Jared Brady added 12 kills and eight digs for the Panthers, who remain tied with Centennial at 7-0 for first place in the Mountain League. Shadow Ridge is 6-0, and Arbor View is 5-1. Max Senior had 16 assists and 11 digs for the Aggies. Gideon Belnap added eight kills, and Tyler Worthington had 20 digs for Arbor View. Boulder City 3, Sky Pointe 1 — At Boulder City, Karson Bailey had 21 kills to help Boulder City to a 25-27, 25-18, 25-21, 25-17 win over Sky Pointe. Preston Jorgensen added 18 assists, and Boen Huxford had 23 assists and nine kills for Boulder City, which got 27 assists from Kenny Rose. Jaegen Driscoll had 24 kills, and Brayden Dorsey had 25 assists for Sky Pointe. Legacy 3, Eldorado 1 — At Eldorado, Malik Wesley had 15 kills and eight digs to pace the Longhorns to a 19-25, 25-23, 25-23, 25-20 win over the Sundevils. Cahill Laws had 14 kills and five digs, and David Yancy had 32 assists and six digs for Legacy, which got 20 digs from Allen Nsubuga. Brennan Robinson had seven kills and two blocks, and Osciel Zamora added seven kills for Eldorado. Ivan Tovalin had five kills and three digs, and Jonathan Dodge added seven digs and two aces for the Sundevils. Shadow Ridge 3, Rancho 0 — At Rancho, Zach McArthur had 11 kills and six digs to lift the Mustangs over the Rams, 25-20, 25-11, 27-25. Jordan Kirk had eight kills and three blocks, and Tyson Mott had eight kills for Shadow Ridge. Sergio Delgado-Cardona had seven kills and seven digs, and Omar Abushanab had 12 digs for Rancho. Centennial 3, Desert Pines 0 — At Desert Pines, Andrew Shiheiber had 28 assists to lead the Bulldogs over the Jaguars 25-7, 25-9, 25-7. Nahmani Brown had eight kills for Centennial. Sione Tuiasoa had six kills and four aces, and Nahmani Brown had eight kills for Centennial. Ezekiel Washington had three kills for Desert Pines. Las Vegas 3, Canyon Springs 0 — At Canyon Springs, Jaelin Gray had 13 kills, six digs, and four blocks as the Wildcats defeated the Pioneers, 25-7, 25-22, 25-21. Kevin Sweitzer had 20 assists, four digs, and three kills, and Ashton Barney had 13 digs and seven kills for Las Vegas. Chaparral 3, Sunrise Mountain 0 — At Sunrise Mountain, Robert McGregor had eight kills, 15 assists and two aces as the Cowboys defeated the Miners 25-19, 25-21, 25-20. Iopu Tauli’ili had 12 kills, three aces and four digs, and Chris Chavarria had eight kills and 12 digs for Chaparral. Sierra Vista 3, Bonanza 0 — At Sierra Vista, Croix Reganit had nine kills, two aces and 11 digs as the Mountain Lions took down the Bengals, 27-25, 26-24, 25-10. Mark Thet paced Bonanza with 13 kills and six digs. Mataio Valoaga added seven kills, three aces and seven digs, and Anthany Lemus had 28 assists for Bonanza. Mojave 3, Western 0 — At Western, T.J. Blanchard-Davis had 21 kills and 17 digs to help the Rattlers to a 25-18, 25-20, 25-23 win over the Warriors. Juan Carbajal had 29 assists, two kills and five digs for Mojave. Angel Sanchez paced Western with 10 kills. Giovante Harris had three kills and 30 digs, and Miguel Mata supplied 39 digs for the Warrriors. Del Sol 3, Valley 0 — At Del Sol, David Anderson had 11 kills as the Dragons defeated the Vikings, 25-11, 25-9, 25-15. 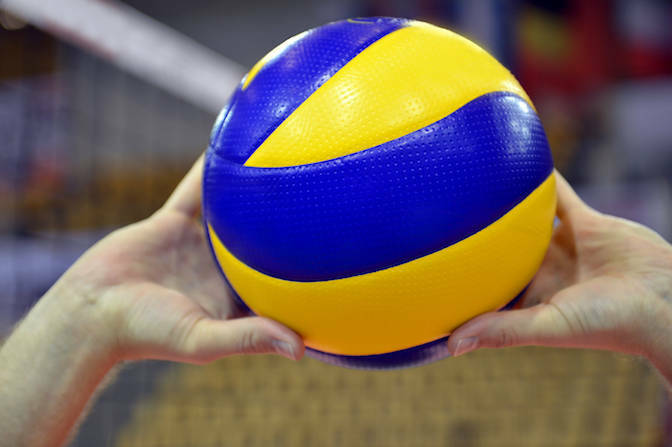 Alan Ramos-Flores had 37 assists and two kills, and Alex Marin added nine kills for Del Sol. Tyrell Hampton had eight kills for the Dragons.